As awkward as it is to see yourself on video, I love watching this. Watch for 1:55 where my child is acting like a lion. We got the chance to visit a few local attractions last weekend as a family. Our second stop was the Calgary Zoo. We have been to the zoo once before, although it was at Christmas time on one particularly freezing day. We would hover at the exit of each building and bolt to the next one. Needless to say, it was much more enjoyable this time. The kids are a bit older, more excited to yell RILLA! when the gorilla comes up to the glass and smiles at them. It was just such a fun day. This day was the first time the animals got to go outside since winter, and they were all very animated and excited. 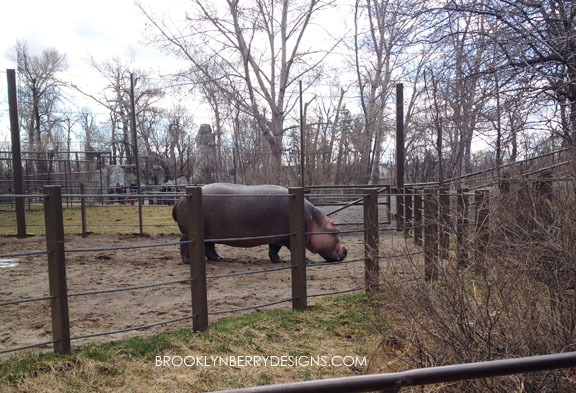 I have been to the Calgary zoo numerous times, and have never seen the hippos do much. 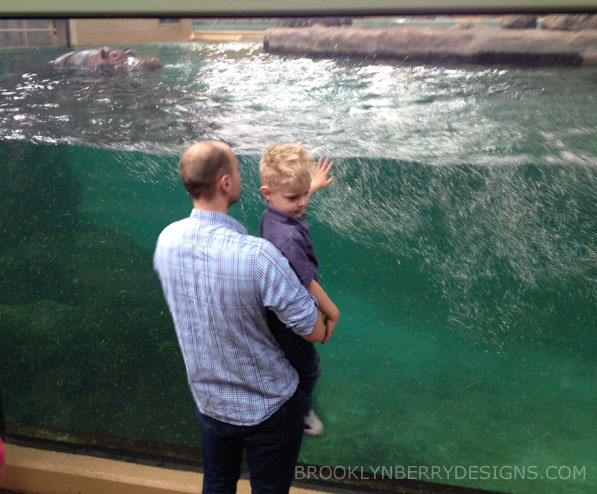 This time they were very active – doing back flips off the walls, spitting, swimming, and moving about. It was great. We also were there while the zoo keeper was presenting, so it was educational and very geared to the school aged kids. Jett loved it. I would say the only hiccup to our day was the smells. Jett freaked out about the stinky giraffes. Last visit it was the gorillas, which didn’t bother him this time, but where there is warmth there are smells. It took a bribe and an imaginary “stinky go away” chocolate to get him to calm down about it. Surprise! He was happy after that. Visit the penguins first thing – it can get busy in there. Pack snacks for yourself and kids. Especially water. And chocolate. Prepare for stinky smells. Bribes may be needed. Plan on lots of walking. Strollers can be helpful. Tickets for the Calgary Zoo are available for purchase online and on location. For other great places to visit in Calgary, check out more of my Calgary posts HERE, especially the Science Center! Cute video of your family, Brooke! My kids LOVE that place. Cannot wait for our next visit and we are going to hit up SPARK too!!! You have a beautiful family Brooke! Loved watching this video. It makes me wish I was closer so I could come visit the Calgary zoo.